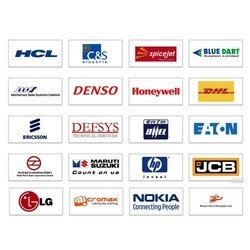 Succeeding with a powerful foothold of manufacturing excellence, Blue Sky System Private Limited the industry leading manufacturer and wholesaler firm is dealing in world-class quality products since 1988. We embark on the technological progressions and attempt to bring forward a broadened product portfolio, which includes ESD Pipe Joint System, ESD Storage Bins, Polymeric Waterproofing Membranes, Cleanroom Accessories, Desoldering Wick, Belt Conveyor, Clean Room Doors, Esd Flooring Tiles etc. We are also engaged in service providing of Epoxy Coating Service, Polyurethane Floor Coating Service, Epoxy Wall Coating Service. Our thoroughly trained team assures that each product ensures dependable and safe operation and emphasizes beneficial qualities of industry compliant manufacturing, highly durable performance, low cost operation and equitable price range. Our brand image is supported with the rational potential of our team members, trustworthy material resources and deeply advanced R&D facilities. This certainly, earned us competing for advantage to earn the challenging requirements for innovative quality equipment. To handle all dealings with honesty, dignity and integrity, we rigorously manage our business in accordance with National, State and Local laws. Moreover, we also guarantee adherence to the essential standards of business ethics and conduct. To maintain the cordial association with our customers, we commit to the highest standards of integrity. The Company is a channel partner for Asian Paints, Aian Paints PPG, Alkon Plastics, Schoeller Arca, INDIUM Corp, STP & MYK Schomburg. Mr. J.S. Chadda is the driving force following our focused company strategy. His extensive knowledge urges us to present new and improved quality equipment to sustain company growth. These professionals are well versed to the latest technology and sophisticated machines used in the production process. To conduct all dealings with honesty, dignity and integrity. We strictly conduct our business in accordance with National, State and local laws. Moreover, we also ensure adherence to the highest standards of business ethics and conduct. To maintain cordial association with our clients, we commit to trade with the utmost standards of ethics. Our highly qualified technocrats endeavor on enhancing the quality standards of our wide range. Moreover, they also emphasize on raising the productivity of our infrastructure for optimum utilization of resources. Our market surveyors perform informative market research to correctly gauge the response towards our range. Moreover, to open new avenues for creativity and to measure customer adaptability, we work in close quarters with our clients as per their requirements. To maintain its march in the 21stCentury, as a World leader, India must provide to its Industry Modern Production Infrastructure, High-Quality Manufacturing Equipment, and Skilled Labor. With a vision to promote India as a manufacturing hub, BLUE SKY SYSTEM focuses on providing High-Quality Equipment, Advanced & Cost Effective Engineering Techniques & Customized Production Infrastructure.